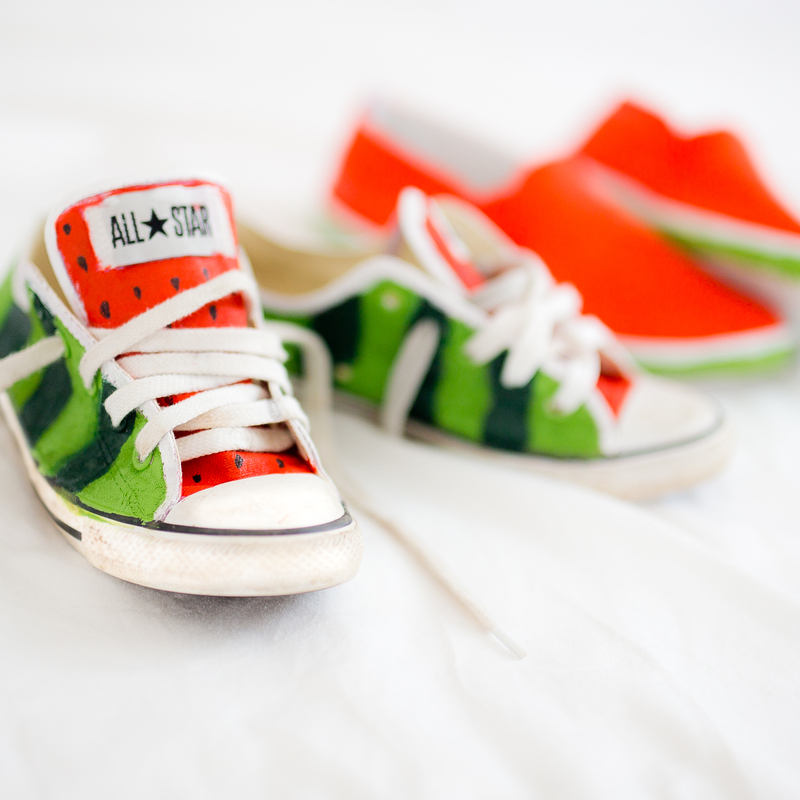 DIY Watermelon Shoes | Claire, Collected. 6 Comments March 15, 2015 Claire, collected. Lily’s watermelon themed birthday party is only two weeks away and we are channeling all things fruitalicious until then. During a wardrobe clean out yesterday I found myself with handfuls of old shoes that were on the cusp of being thrown out. And suddenly this idea came to me. 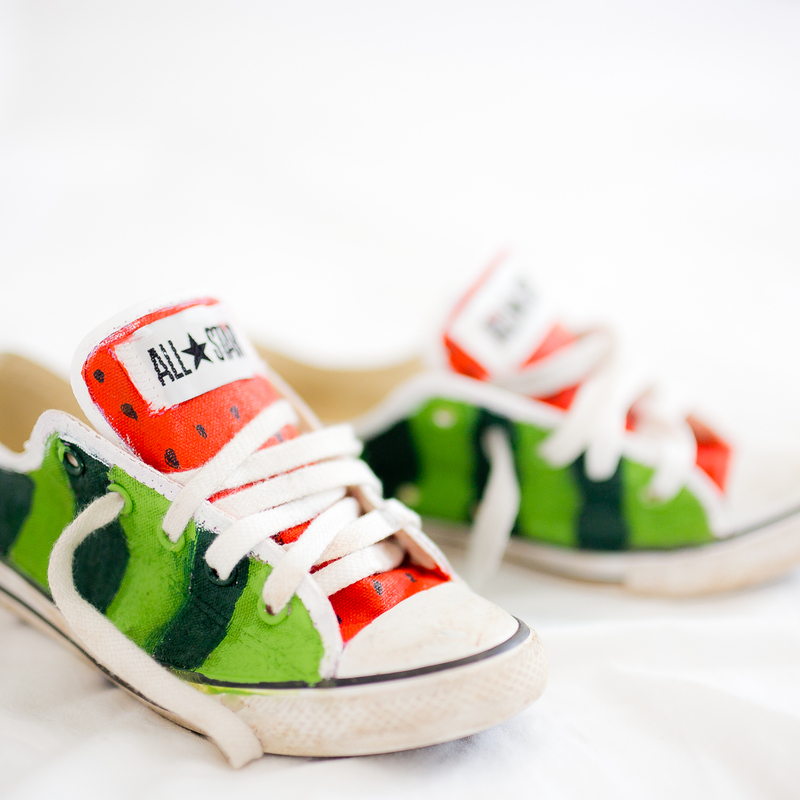 Why not jazz up the old shoes for Lily’s birthday party! I jumped online for inspiration and sure enough painting shoes is an actual thing, who knew! 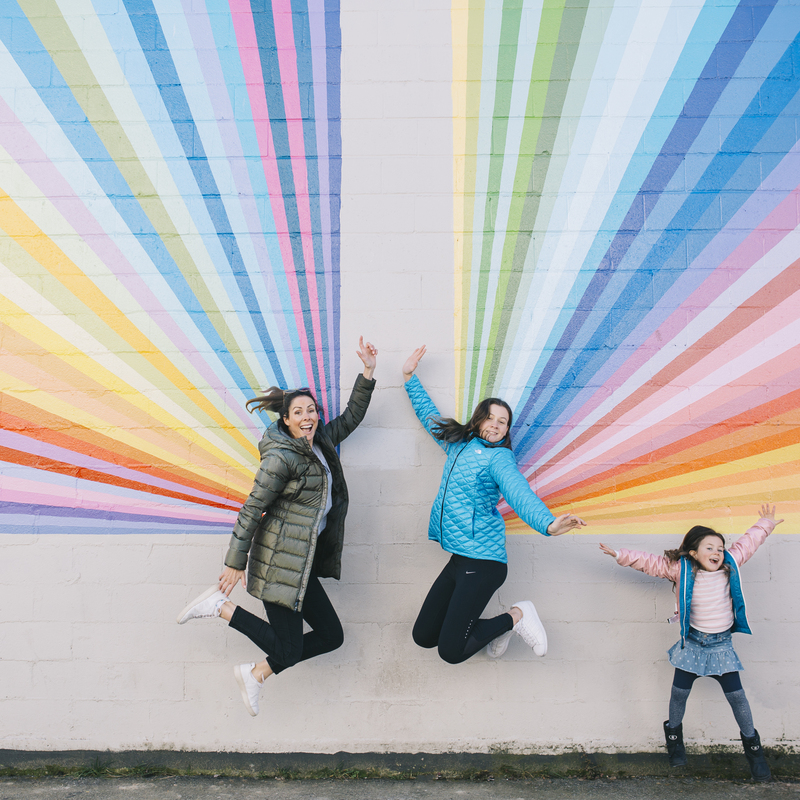 Whilst I don’t think we are about to get snapped up as head designer, (or assistant, or tea and biscuit makers for that matter) at Nike, this was such a super fun activity to do with Lily and her best friend during their sleep over last night. I set them up at the dining table after dinner, put on the Frozen soundtrack, and joined them painting and singing the night away. Wow how my Saturday nights have changed! 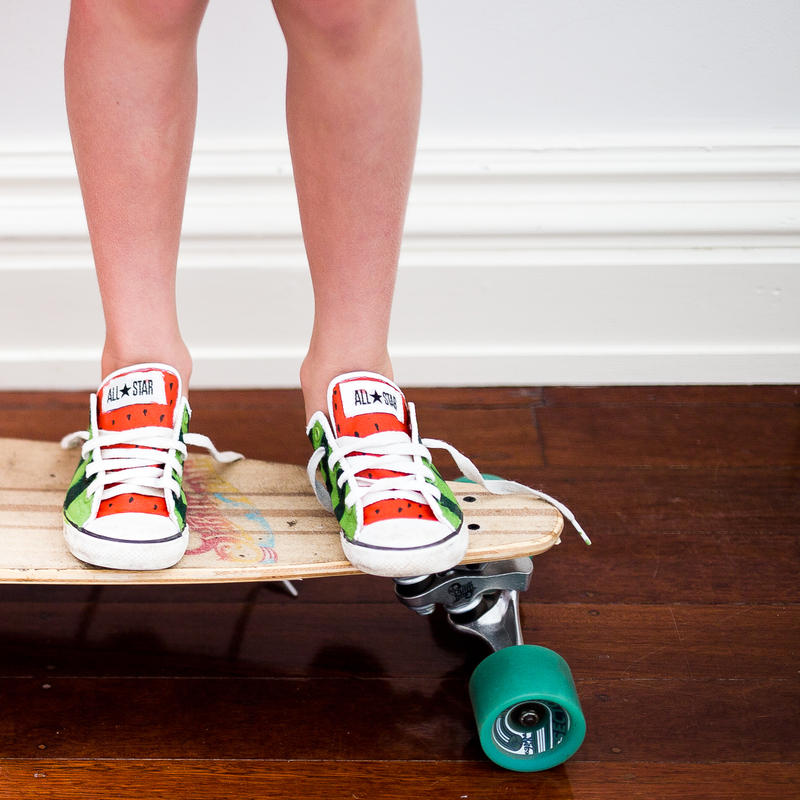 The DIY on this is easy (if we can do it anyone can!!) We chose to use fabric paints and a black permanent marker for the seeds. But I’ve seen other people have done this using just markers and probably achieved a slightly cleaner result than we did. Keeping in mind I let the girls (9) do most of the work themselves, with a bit of tidying up by me at the end, I’m absolutely thrilled with how they turned out.